Sucrology: the hobby of collecting sugar packets. Sugar packet collecting has become popular much like stamp or coin collecting. 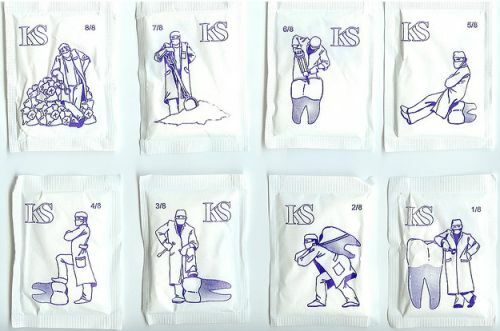 This particular set of sugar packets from the Czech Republic is especially interesting to us because of the irony. It seems like a counter-intuitive approach to advertising…..yet, at the same time we want to buy some! Never heard of sugar packet collecting before. interesting.